﻿ All Dubai Visa types entertained! 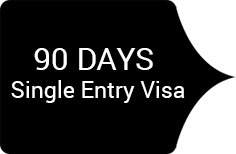 14, 30, 90 days Dubai Visa! 14 Days Dubai visa is a short stay single entry visa, entitles the Visa holder to stay in Dubai for up to 14 days only. Visa holder gets two months time to utilize this visa from the date of issuance but their stay in Dubai should not exceed by 14 days, it’s an electronic visa which will be send by email when issued. 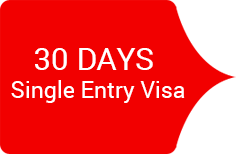 30 Days Dubai visa is also a single entry visa, entitles the Visa holder to stay in Dubai for up to 30 days only. Visa holder gets two months time to utilize this visa from the date of issuance but their stay in Dubai should not exceed by 30 days, it’s an electronic visa which will be send by email when issued. 90 Days Dubai visa is a Long stay entry visa, entitles the Visa holder to stay in Dubai for up to 90 days only. It’s suitable for the customers who are looking to stay with their dear ones. It’s an electronic visa which will be sent by email when issued. 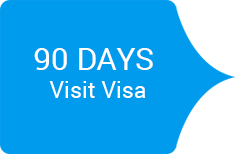 90 Days Visit visa is a convertible visa suitable for the customers who are looking to change their tourist visa to an employment visa. It’s an electronic visa which will be sent by email when issued.